PROG ROCK MUSIC TALK: ELP Legend Greg Lake's Eagerly Awaited Autobiography "Lucky Man" Now Available In The UK! 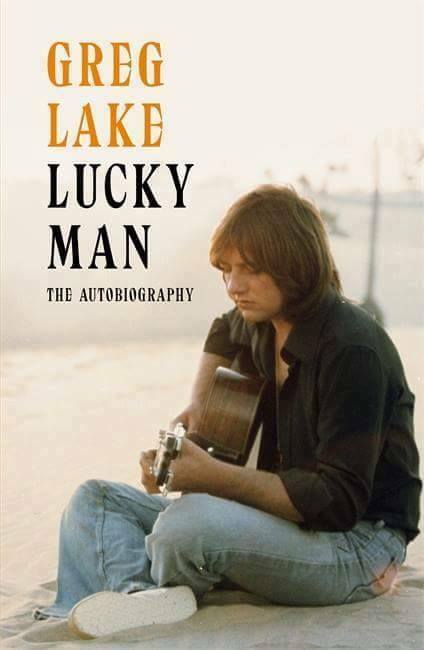 ELP Legend Greg Lake's Eagerly Awaited Autobiography "Lucky Man" Now Available In The UK! London - Greg Lake first won acclaim as lead vocalist, bass guitarist and producer when, together with Robert Fripp, he formed King Crimson. Their first album, the landmark In the Court of the Crimson King, co-produced by Greg, featured the iconic song “21st Century Schizoid Man.” King Crimson pioneered progressive rock and paved the way for many famous bands that followed, from Yes and Genesis to the Red Hot Chili Peppers.